Discover a cute stuffed animal that smells terrific and puts your child in a happy mood. I have recently discovered essential oils and their uses beyond scent. When I first started using essential oils is was for their wonderful scents. I liked using the oils in my homemade lotions and body butter as the oils gave them wonderful scents. Then I discovered that essential oils, when inhaled, could be helpful for things like sleep and energy. Did you know that lavender oil helps calm and peppermint helps with energy? I love using peppermint oil in my diffuser during the day as it helps me to be productive. I then use a lavender body butter at night to help my body relax and fall asleep. So when I discovered a cute plush animal that smells terrific and can help lift a child's mood, I knew that my boys had to have one. I discovered this cute Lil' Stinker last month at ShiftCon, a wonderful eco living conference. The company Plant Therapy makes these adorable plush animals and they were at ShiftCon to introduce their wonderful essential oil products to bloggers like me who have a passion for healthy living. This plush was shown to me along with some wonderful scented essential oils. Plant Therapy makes these Aroma Plush animals that not only look so cute but they also can uplift a person's mood. The secret to these KidSafe Lil' Stinkers is a special compartment inside the plush that gives the animal a great scent that will uplift to a better mood. You simply place a couple of drops of the included essential oil inside the compartment of the cute plush animal and this Lil' Stinker smells so good for a week. The essential oil that comes with the plush contains Plant Therapy's signature scent, PJ’s Blend. PJ's Blend is a cheerful burst of fruity essential oils, including fresh Steam Distilled Lemon and bright Pink Grapefruit which are known to be uplifting. When the KidSafe Lil' Stinkers Aroma Plush arrived at our house, I barely had a chance to take a picture of the plush as my boys fell in love with it. My boys just love the way he smells. My boys decided to take turns of who gets the Aroma Plush at bedtime. When I finally had a chance to hold the cute plush, I was amazed at how wonderful he smelled. I did not want to put him down. My one son woke up the other day in a great mood, trust me, he is not my morning child and came down holding the Aroma Plush. He smelled the cute plush animal and said, "mmm, he smells so good!" I think the essential oil in the Aroma Plush put my son into that happy mood. So now I discovered another use for essential oils. I love that I can use other essential oils in the Lil' Stinker. I need to try lavendar oil in him for my other son who has trouble falling asleep. This Aroma Plush is just one of the many items that Plant Therapy sells. Plant Therapy sells many essential oils, many of them are safe for kids, along with many other products that are useful with the oils. If fact, Plant Therapy has a special line of oils made just for kids called KidSafe. Check out Plant Therapy at the below links. 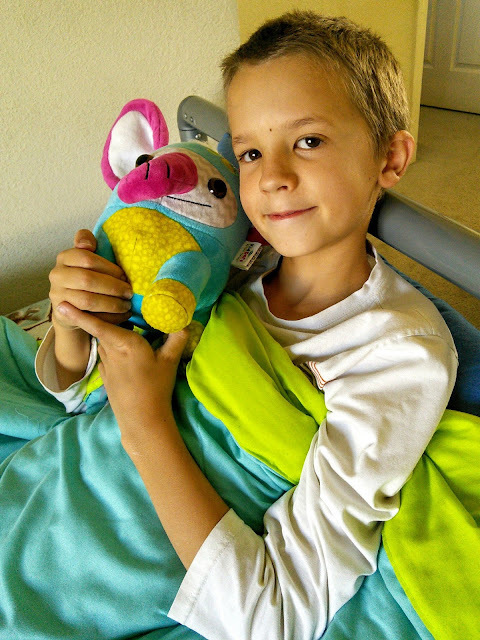 Would you like to win a cute KidSafe Lil' Stinkers Aroma Plush for you child? I am giving away one Aroma plush to one lucky reader. Just enter on the form below and good luck! "These opinions are my own and I received the above-mentioned product to facilitate this post and giveaway." I would like to try the Chamomile Roman Essential Oil because I have trouble sleeping when I have so much to do. I would love to try lavender. I would like to try Immune Aid Synergy. An oil that I do not have and would like to try is Ylang Ylang. i want to try the organic peppermint. it sounds like it will work for us. I've used so many Plant Therapy oils, but one I would love to try right now is the Endo-Aid synergy. i have a lot of hormone balance issues and I've read good things about it from other users! I would like to try the Rapid Relif Synergy Oil! I would love to try the Grapefruit Pink!! I would really like to try the Citrus Burst Synergy! The kids germ destroyer looks great too. I would like to try their lavender. What a selection! I would like to try Jasmine or Fennel to start with. I would like to try the organic peppermint. Germ Destroyer would be great to try with all the nasty germs flying around from the kids having colds. I would like the Germ Fighter Synergy blend. This would be good for the kids returning to school this week. I love the lavender smell because it is so calming. Thank you very much for the offer! I would love the lavender. But I would like to have any of them. I like to experiment with scents. I would love to try Geranium Egyptian, it sounds very lovely and unique! I'd love to try out the organic peppermint, peppermint is my favorite smell! Like to try the Peppermint ORGANIC Essential Oil. I would love to try Calming The Child. I would like to try the Frankincense serrata Essential Oil. I think that I would like Calming the child. I would love to have them all. blue tanzy looks great! thanks so much for the chances to win. I'd love to try the Nighty Night for my son who has trouble sleeping! I want to try the nighty night with my daughters. What a great invention! I've never seen anything like this before. I would love to try the Nighty Night kids blend on my 2 year old... he's my lil night owl. I would love to try the peppermint oil for my sons allergies. I would like to try lavender because it has many benefits and is good in a diffuser. I want to try peppermint. I would like to try the Energy Synergy! I would like to try their Cedarwood oil. It has a calming effect to me. I would love to have the lavender for it's calming. The Bergamot Essential Oil is something I would like. I hear it's good for calming anxiety. I'd like to try the coco blend. Calming the Child is the one I want to try. My son is very hyperactive and gets upset when worked up. I hope this could help him settle. I'd like to check out the Germ Fighter Synergy. During this time of year my family would love to try the Camphor at night time to help us breathe. I would like lemon to up the mood. I have tried theives before so immune aid looks great. The lemon would definitely be my pick and then maybe the nighty nite. 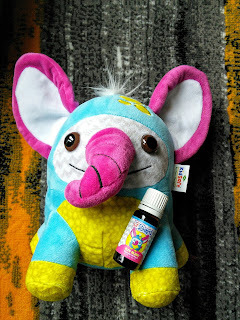 I would get my daughter the Otis aroma plush with lavender oil! I'd love to try calming the child. My two year old would love this!! Since I would love to win this for my granddaughter, I would like to try the Lavender oil! It would help her sleep for sure. I have used lotion with lavender, and it actually makes her sleepy. Love it! I would like to try the Blue Tansy Essential Oil. It is so new to me. I would like to try lavender. I would love to try the Buddha Wood Essential Oil. I haven't tried that one before, but it sounds amazing! I would love to try the Chamomile German (Blue) Essential Oil. I would love to try he Lavender is my fav scent and is so relaxing. I would like to try the Vanilla 12% CO2 Extract. I would like to try their Cinnamon Bark Essential Oil. I would really like to try the Blue Tansy essential oil. I like that it has clearing and calming properties. Sounds like it will smell amazing as well. I did learn it can be hard to purchase at times.... so if you love it make sure you get a supply. I am definitely checking it out... Thanks for your post! I would love to try the kid safe Nighty Night oil! I am intrigued by Fragonia Essential Oil for assisting with seasonal allergies. I think that the Kid Safe Nighty Night or Calming would help my son- Bedtime is sometimes a major headache with him. I would like to try the Organic Cinnamon Cassia Oil. It is known to support a healthy immune system and to encourage healthy feelings of self esteem. Wooow ! awesome baby doll with a cute baby ! I would like to buy a baby doll like your post appears . can you help me to buy it?